England looked to be heading into the last eight courtesy of Harry's 57th-minute penalty in Moscow, but the towering Yerry Mina headed in a stoppage-time equaliser before a match littered with fouls went to a shootout. Colombian keeper David Ospina saved Jordan Henderson's effort, but Jordan Pickford turned away Carlos Bacca's attempt after Manuel Uribe hit the bar. It was left to Eric Dier to convert the decisive kick. It was just the second time in eight occasions England have won a shootout at a major tournament, and the first time ever in the World Cup. "We had a cruel blow on 90 minutes which we had to show incredible resilience to come back from," said a relieved Southgate, whose own penalty miss cost England in the semi-finals against Germany at Euro '96. "It was a night when I knew we were going to get over the line. We had the belief and the resilience to get over the line." Southgate has challenged his players to write their own history after England's poor recent results at finals. England had lost five successive shootouts before luck finally smiled on them at the compact Spartak Stadium. "Tonight was a classic example. They don't have to conform to what's gone before," Southgate said. "Today is a special moment for this team. Hopefully it will give belief to the generations of players that follow. In life you always have to believe what is possible and not be hindered by history or expectations." He reserved special praise for Pickford, who made a magnificent save to keep out a spectacular strike from Uribe before a vital stop in the shootout. Pickford was criticised after conceding Adnan Januzaj's winner in the group-stage loss to Belgium, including by his Belgian counterpart Thibaut Courtois, who said he was too small. "It was a top-class save, I'm surprised he could reach it given his height," Southgate said with a wry smile. "He's really athletic around the goal, he is excellent and he executed the plan in the penalty shootout. "We'd studied all of their penalty takers and great credit to our collective of staff and to him for taking on board that information and preparing in the right way. "You don't always get what you deserve in life but tonight I think we did." England will have just three days to recover before facing Sweden in Samara on Saturday for a place in the semi-finals. "We've not got a good record against them. I think we've always underestimated them," Southgate said. Southgate admitted the gruelling nature of the match had taken its toll on his players, with Colombia shown six yellow cards. "It's like a scene from MASH in the dressing room. For some I think it's just cramp and some need more assessment. We'll know more over the next 36 hours," he said. After his side were shown six yellow cards, Colombia coach Jose Pekerman made clear his unhappiness with the performance by US referee Mark Geiger. 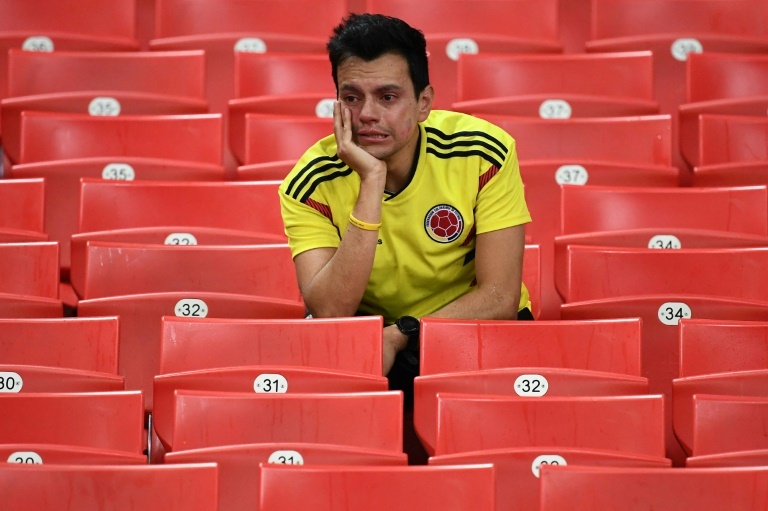 "The match was very rough, everybody knew the match would be like this," Pekerman said. "I think we need to try to defend football and I think we should do a little more to try and prevent certain situations knowing they might arise. "It's been uncomfortable to play this match knowing that feeling in the air about the refereeing decisions. "Something is happening in football, there's a lot of confusion."